Music, as the manifestation of human’s emotion is present in all aspects of his life; wedding, funeral, feast, work and war, therefore it best represents the culture of a society. Music as the common language of human beings binds people all over the world together in spite of their difference in mother tongues, cultures and ways of living. Travelling to a destination, one finds watching and even participating in musical performances among the most attracting activities to be engaged in. This is most fascinating when the music is representing the local culture, local games, old professions and accent of that specific region. Nasl-e-mehr Institute of Kerman having sixteen years’ experience in the artistic-cultural projects of music has developed styles to perform music in museums and historical places as well as the innovative designs of programmatic music, especially vocal music, which are peculiar to the same place in which they are performed and to music tourism and expresses the identity and culture of that region and historical place. Actually, the music styles devised by Nasl-e- Mehr institute enjoys the use of monuments in performing them so that the structure of that monument contributes to the acoustic aesthetics of the performance (performances in Moayyedi ice house of Kerman are carried out without use of Microphone, the circular and conical structure of the building allows the audience to hear the voice of performers) and the ancient atmosphere inspires the singers and performers in executing that program since the songs and movements of the related performances are themselves part of that antiquity to which the monument belongs. In other words, the atmosphere of the historical location reinforces the enthusiasm of the singers and performers. To capture the styles more fully, a brief explanation of each follows. This style is a combination of vocal music of a cappella (music without instrumental accompaniment) and the use of museum space; in such a way that the museum will become live in and historical currents will be implemented with relevant scenarios. These currents are performed as either vocal or instrumental music and pulls the audience into it; that is, the audience moves in a direction and follows the stream of music which is the narrator of events in the museum and it itself is part of the events and ceremonies of that program. These programs have been held in the museums of Ganjali Khan Bathroom and Harandi music museum of Kerman at special nights and historical occasions and have surprised participants. Undoubtedly, there are few examples of this kind of programmatic music in the world and it is unique in its own way. The rationale behind this style is to present the ceremonies of the last Wednesday of the year, the ceremonies before New Year and their customs through music performance, and to introduce the genuine Kerman foods in these programs. 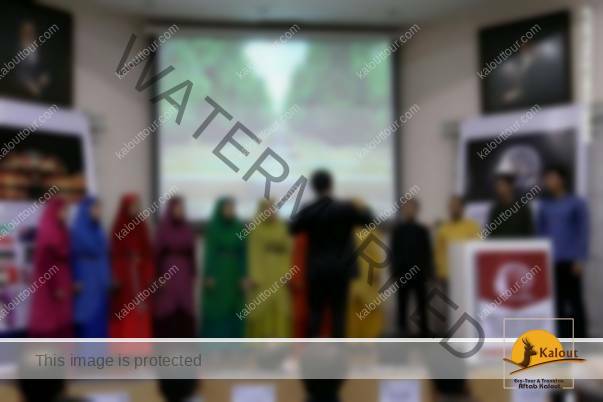 In this style more than 25 local games of Iran and Kerman were revived as a polyphonic choral acapella performed through the voice of children and adolescents and were registered in the list of the Iranian anthropology center. Actappella is a combination of the music of a cappella (without instrumental accompaniment) and action; an example of this is the performance of uprising of the shawl weavers acapella, the program was performed for 17 nights and faced an unrivaled welcome and was able to attract more than 3000 audiences. In this program a cultural current related to 250 years ago which was based on the silk industry and shawl weaving was performed in the language of music and motion (the uprising of shawl weavers occurred during Qajar dynasty in Kerman due to the poor life condition of weavers. Although shawl was an expensive and luxurious merchandise since made of silk, its weavers lived in adversity. This rise is said to have been the starting point of constitutionalism movement in Iran). It is the production and performance of the steps of forgotten old jobs in the language of vocal along with their collective and related motions. In this style which is a choral a cappella each voice group plays its role and the sum of those songs and movements represent that profession. This new style is built on two music methods of polyphonic a cappella choral and rock music which performs choral quartet parts accompanied with rock structure and wording. This kind of music consists of religious and local choral vocal parts some of which are performed with a specific dialect and in a special and energetic way. Basically, these two genres of music are fundamentally different, but the difference is undeniably attractive when combined. Producing and performing music with waste items and garages to make people alert about less trash production and not using plastic packs was carried out in Kerman by Nasl-e-mehr institute in cooperation with Municipality and had an excellent feedback at national and international assemblies and had been displayed in various internal and external networks. New experiences in vocal tours around the world is always attractive and informative for choral groups and singers. We have provided this opportunity for vocal groups in an appealing and spectacular place in Iran, Kerman. This event will be performed in Kerman with the participation of Iranian groups and groups from around the world. This festival and vocal tour is designed for Iranian and foreign groups to perform music in Kerman tourism places and has begun its national and international movement in the competitive, non-competitive and music video production sectors. This musical event can annually attract more than 10,000 Iranian and foreign tourists to Kerman and in return these vocal groups will produce their music video clips in Kerman historical places. Kerman is an ancient city with a several-thousand-year-old history and cultural and artistic extraordinary attractions and special customs which will be attractive for Iranian and foreign tourists. For example: The Kalut (one of the most famous and specific deserts in the world), Meymand (the hand-carved and several-year-old village), the Ganjalikhan bazaar (400 years old), the citadel in Bam (2000 years old), the Shahzade garden in Mahan and… attract thousands of tourists every year. Conducting this masterclass and workshops in Kerman performed by Marcus Dieter Beck, the assistant director of the Choir Department in Europe, and Jan Schumacher, one of Europe’s well-known choir leaders, is the beginning of cooperation in attracting Iranian and foreign tourists to Kerman. To help you select your proper trip, aligned with your interests, fitness and previous experiences, Kalout has designed the trips based on activity elements such as type, level, duration, as well as the path, altitude and the climate in which these activities are carried out. Needless of any beforehand technical and physical readiness, most of the trips are applicable for all age groups; for we believe that as long as you are ready, eagerly and spiritually, any trip can by joyous. Today, on 17 July 2016, eight new sites of global importance were inscribed to UNESCO’s World Heritage List including the Lut desert (the Dasht-e-Lut) in the Islamic Republic of Iran. Iran’s Lut desert is home to the hottest recorded spot on the earth surface according to NASA’s satellite data of land surface temperature. 70.7°C was recorded there in 2005 and the Lut has taken the hottest top spot on several annual occasions since. A Secret Compass expedition team was the first group ever to traverse Iran’s Lut desert on foot, as featured in National Geographic magazine in May 2016 by award-winning photojournalist Mark Stratton. Marco Polo is alleged to have visited the region in 1271, and Wilfred Thesiger visited in 1964. Between June and October, the Lut desert is swept by strong winds which transport sediment and cause erosion on a colossal scale causing spectacular ex aeolian yardang formations – vast corrugated ridges also known as kaluts. The yardangs are described by UNESCO as ‘an exceptional example of ongoing geological processes’ and form the longest yardang system in the world at 120km long and 80km wide. Some can reach 80m in height. The expedition team will pass through key Silk Road locations. The nearby city of Bam was the crossroads of important trade routes from east to west from the seventh to eleventh centuries. The terrain and geological features of the Lut desert include unusual sand dunes, wind-sculpted star dunes and salt plains and polygons, vestiges of former seas and inland lakes. The Lut desert has been classified as having high potential for finding meteorites due to its persistently dry climate. A small collection known as the Valley of Meteorites has already been discovered. In the central Lut lie massive flat plains where saltwater has accumulated and been evaporated by the ferocious sun leaving various shapes over the barren landscape. This expedition does not pass the plains but explores a former inland lake whose evaporated banks offer a similar example. Kerman is one of Iran’s oldest cities and was once the staging point for traders passing between Persia and the Indian Subcontinent. The Secret Compass team will fly from Tehran to Kerman to begin their Lut desert traverse expedition. As at July 2016, the Lut desert became one of the world’s newest UNESCO-inscribed heritage spots for its unique desert environment, its rock paintings and its natural sand dunes and formations.